Attitude indicators (artificial horizons) use a gyro to display pitch and bank. I was wondering if it would work to use a ball half full of liquid to replace the artificial horizon (using the water level as reference)? Nope. In a perfectly flown turn, the ball of liquid would appear to indicate level flight. You might argue that it could replace the "ball" of a turn & bank indicator, but that's about it. It would also be tough to read in turbulence. 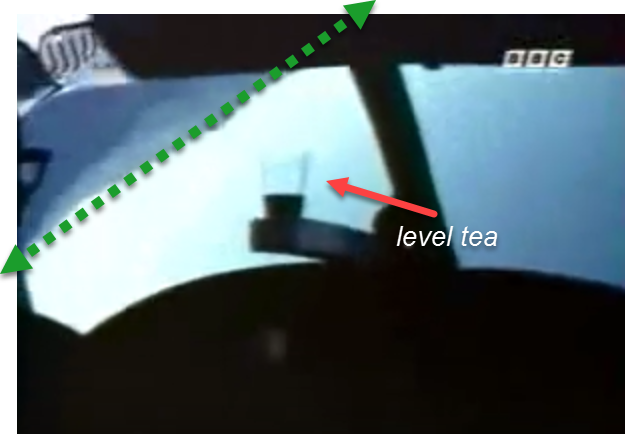 See also this YouTube video showing Bob Hoover pouring iced tea while flying the plane through a roll, even while inverted. Your liquid would behave similarly. Not the answer you're looking for? Browse other questions tagged flight-instruments attitude or ask your own question. Wouldn't a Snow Globe prevent pilots from getting disoriented?